Though it was originally supposed to be a movie, Hulu is currently developing an adaption of Erik Larson's Devil in the White City as a TV series. The project will be executive produced by Martin Scorsese and Leonardo DiCaprio. 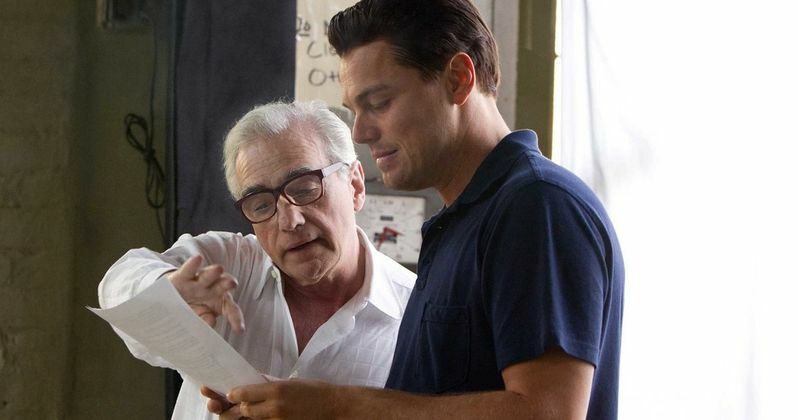 Scorsese and DiCaprio have been working on the adaptation for over ten years, trying to bring it too the big screen, and many believed that the project had been indefinitely shelved. DiCaprio first bought the rights to Larson's book back in 2010 and then later signed on to star with Scorsese helming the project in 2015. Craig Erwich, Hulu's senior vice president of originals, made the Devil in the White City announcement earlier today at the Television Critics Association press tour. However, he did not mention anything else about the project, so it is unclear if Leonardo DiCaprio is still on board to star as serial killer Henry H. Holmes, aka H.H. Holmes. For now, it looks like DiCaprio and Martin Scorsese will only be executive producers, but that has yet to be confirmed at this time. People have been trying to adapt Erik Larson's 2003 historical non-fiction book The Devil in the White City: Murder, Magic and the Madness at the Fair that Changed America since it hit the shelves. Tom Cruise had the rights back when the book came out and didn't get very far with it. Larson tells the story of Henry H. Holmes in a novelistic way, which features Daniel H. Burnham, the architect behind the 1893 World's Fair, and Dr. H. H. Holmes, a pharmacist and serial killer who lured his victims to their deaths in his elaborately constructed "Murder Castle." The book is split into four distinct parts and has been praised for its unique approach to storytelling. There aren't too many other details about the latest Devil in the White City project developments. Martin Scorsese and Leonardo DiCaprio are executive producing the series, which is being developed at Hulu by Paramount TV, alongside Rick Yorn, Emma Koskoff, Jennifer Davisson, and Stacey Sher. Other than that, details are scarce. However, fans of Erik Larson's source material have been waiting a long time to see this project come into fruition and some are more than likely a little skeptical of the latest news since there has been so many announcements over the years. It's been nearly 16 years since The Devil in the White City: Murder, Magic and the Madness at the Fair that Changed America debuted, so now is as good as a time as ever to get the production started. It's not clear how many episodes will make up Hulu's Devil in the White City series, or who will be on board to star and direct the project. With that being said, it would be cool to see Leonardo DiCaprio as Dr. H.H. Holmes, especially since he's had his eye on this project for nearly 20 years. This is a developing story and more news is expected to drop soon. This news was first reported by Deadline.